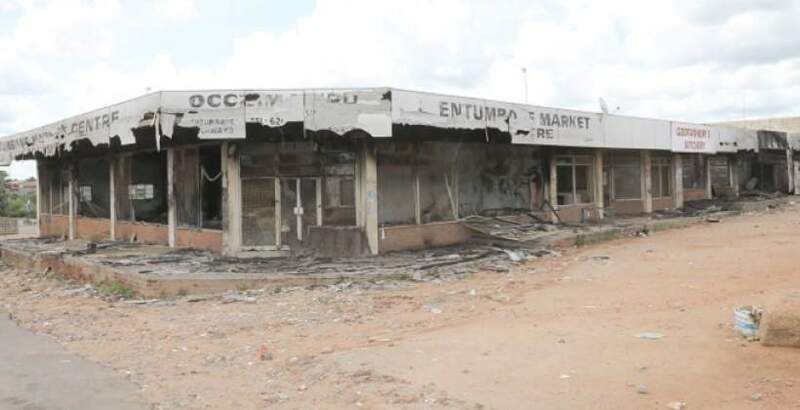 BUSINESSES that were broken into, looted and sometimes burnt down during the recent nationwide protests might not be able to rebuild, restock and reopen, business leaders have said. Last week Zimbabwe witnessed widespread protests against a steep hike in the price of fuel and general economic decay which turned violent when security forces used excessive force in a bid to quell the protests. On Monday citizens took to the streets to express their anger at government's poor handling of the deteriorating economy. The cost of living has shot up beyond the reach of many as prices of fuel and basic commodities continue to rise. Businesses which spoke to The Standard yesterday said they were already struggling to restock and the current situation was making things worse. They feared massive job losses. "We are yet to assess the full impact, but the situation is not healthy for any business. The message is that the incapacitation of workers should not lead to destruction of property and looting," Confederation of Zimbabwe Industries (CIZ) Matabeleland chapter president, Joseph Gunda said. "Businesses are already struggling to restock (following the recent looting) and this current difficult situation makes things worse and businesses may never be able to recover. Stayaways should be conducted in a peaceful way. The country will certainly need to rebuild the infrastructure that was destroyed," he said. Association for Business in Zimbabwe chief executive Victor Nyoni said there would be loss of employment. "We are in a situation now that supermarkets will not be able to restock. Also those businesses that have been affected do not have insurance cover because of the economic environment in Zimbabwe," he said. "As a result, there is no way that they are going to restock and those people that are employed in those shops are now out of employment," he said. "In fact, targeting private businesses - the people who keep this economy ticking - is a huge mistake. We implore government to find a way now to help those businesses to take off again but the situation is dire." Nyoni said some businesses would be left in debt as they had purchased the goods they were trading on credit. "Infrastructure has been destroyed. What that then means is that you also need money to rebuild the shop, but already businesses were operating below capacity and to imagine that there can even be funding to do such things is unthinkable," he said. CIZ president Sifelani Jabagwe said the situation was worrying. He urged protesters to demonstrate responsibly, adding that the destruction of infrastructure and property would further cripple the economy. "We have not put a value to it, but we believe that the impact is actually significant. Companies have not been operating and it's quite damaging for the economy,"he said. Jabangwe said Zimbabwe needed to attract foreign investors, but it would be difficult to do that due to the current instability in the country. "We need, one way or the other, to attract new investment into the country, but when we do this (destruction of property), will we be able to do it? With violence we shut out investment because we portray our country as unstable - a place where citizens go about destroying property," he said. In Bulawayo, several business including Choppies supermarkets, shopping malls and other small shops, were looted and some burnt down.